Finally it's December and whats more Christmassy than gingerbread? I love anything gingerbread! 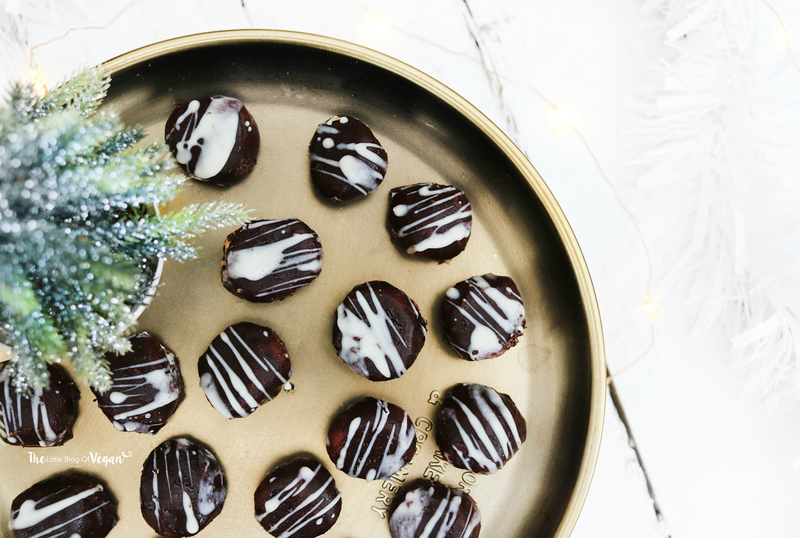 Gingerbread lattes, ginger sweets, i would eat them all year round but there is something about enjoying gingerbread in winter that makes it extra special. I think its to do with its warm, spicy flavour....its delicious! 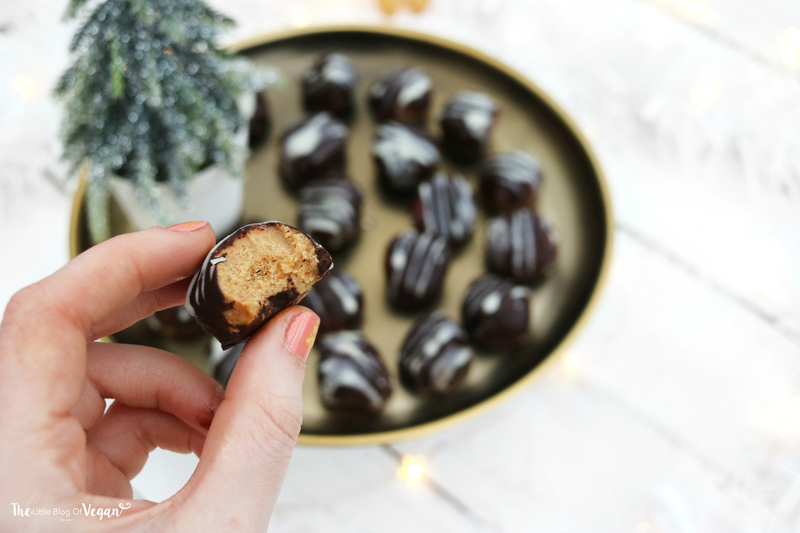 Truffles are one of my favourite treats to make as you can whip up a batch in under 10 minutes, which means no long wait to get stuck in! Always a bonus! This recipe is vegan & contains dairy-free cream cheese. I love to use Violife cream cheese as its not only delicious, but also gives a creaminess to the truffles which is very moorish! These truffles are simple to make, quick & easy and only take 30 minutes in the freezer! They are perfect for serving up at a Christmas party, family gathering or even wrap them up in decorative paper and give them as a gift! It will be a gift anyone would love to receive! Yum yum! Step 1- Line a baking tray with grease proof paper. Step 2- In a food processor, add in the ginger cookies and cream cheese. Step 3- Mould the mixture into bite-sized balls and place onto the lined tray. 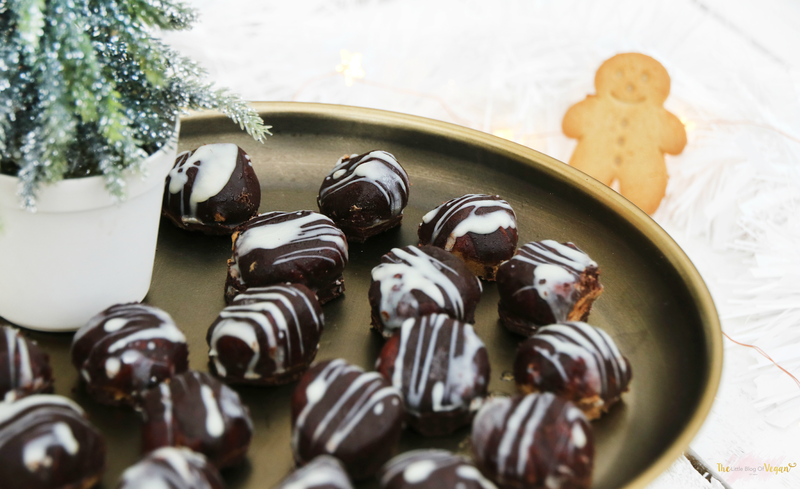 Step 4- Place the gingerbread truffles into the freezer to set. This will take around 20-30 minutes. Step 1- In a small sauce pan over low heat, add in the coconut oil, maple syrup and cocoa powder. Keep stiring until fully melted. Step 2- Once the chocolate has melted, remove the truffles from the freezer. Step 3- Dunk each truffle into the chocolate and place back onto the tray. Repeat for each truffle then return them back into the freezer to allow the chocolate to set. You can even drizzle some dairy-free white chocolate on top for the classic truffle effect! I used Choices buttons, which i melted along with some coconut oil which makes the chocolate more versitle!